This is a rectangular Selz Shoes porcelain sign. This particular Selz Shoes sign is white with blue print. 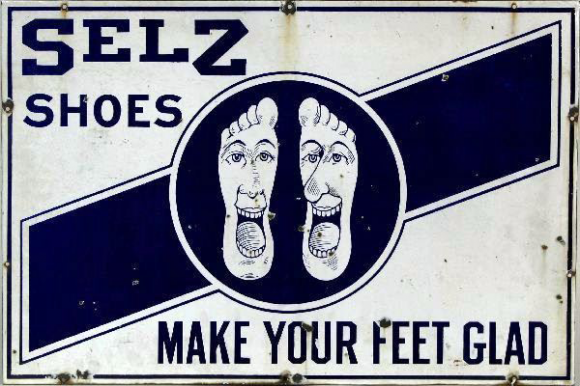 It reads, “Selz Shoes, Make Your Feet Glad” and features two feet with happy faces in the center of the sign.